Often, one of the first questions an entrepreneur has to answer is "Where should I start my company?" Silicon Valley and New York are obvious answers but no longer the uncontested giants they once were. Late last year, my team decided to figure out what exactly made for a great place to start a tech business. The result was our report, Best Places to Live for Tech Entrepreneurs. Our findings were fascinating but maybe not all that surprising if you own a business. Turns out, the most important elements for success in tech can be found all over the United States -- if you're in the mindset to look for them. Almost every entrepreneur we interviewed for the report mentioned the support they got from their community. This was especially true in Midwestern cities, which doesn't surprise me. I grew up in Kalamazoo, Mich., and Insureon is located in Chicago. We midwesterners are famous for our friendliness. Small business owners in Lincoln, Neb., were some of the most vocal on the role a supportive community played in their success. One CEO told us tech business owners are always willing to help each other because they view it as helping the community as a whole. 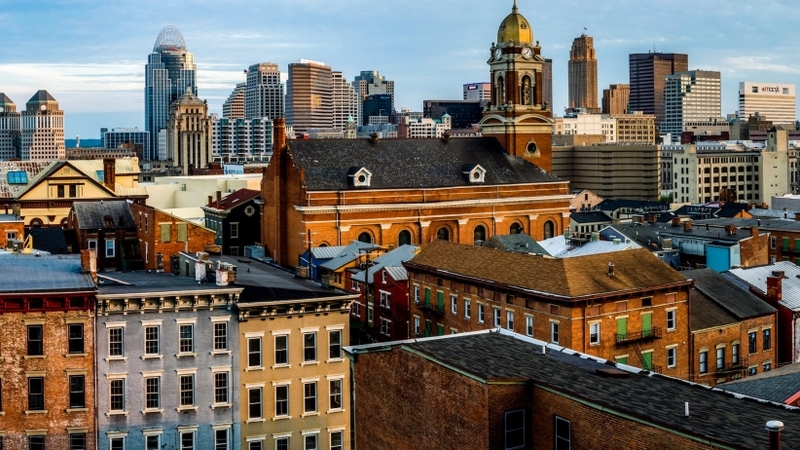 In Cincinnati, tech entrepreneurs rally under the name "Startup Cincy." A professor specializing in entrepreneurship at the University of Cincinnati told us that instead of competing for talent or opportunities, small tech business owners work together to create a vibrant tech scene. 2. Low cost of living. Many entrepreneurs start businesses in outlier cities for economic reasons. The less you spend on overhead, the more you can invest in your business. That's why there's an explosion of startup activity in cities that are either working on a comeback or viewed as up-and-coming. Detroit is currently facing a lot of challenges, including the loss of auto industry jobs and a population decline. While the downturn has been tough, business owners told us the upside is the lower-than-average cost of doing business. This makes it easier for entrepreneurs to try, fail, and try again. Meanwhile, San Antonio, Texas, is a city in growth mode. Small business owners noted the cost of doing business is still very reasonable, and the city has a lower-than-average cost of living. One tech CEO we talked to says spending less on rent and utilities lets people in San Antonio pay more for the critical engineering talent they need. 3. Infrastructure support for IT startups. If you live in a city that supports tech innovation, it can make a big difference. These places offer resources that make every step easier, from getting business permits to finding mentors. In Riverside, Calif., the mayor is a major champion of small business and sees himself as entrepreneurial. Jacksonville, Fla., recognizes the value of technology, too. The city's Chamber of Council created an offshoot -- the JAX Chamber IT Council -- to focus exclusively on growing IT businesses in the city. Baltimore, Oakland and Las Vegas also actively support and encourage small business growth. 4. Ability to put down roots. Most entrepreneurs want to launch their business in a city where they'll live for a while. We talked to a video game company founder who said he thought about moving to Silicon Valley, but he and his wife decided they'd rather raise their kids in their hometown of Cleveland. Austin and Plano, Texas, also got props from small business owners as family-friendly because kids have access to a top-notch education. The cost of living also makes it affordable for them to stick around and start careers and families of their own. As the father of three amazing kids, this is the most important element. Every entrepreneur knows you live your company's dream, but the most important thing in life is family. Being able to see your daughter's hockey game or your son's chess tournament is everything.